It happens that before we leave the house we are in a hurrywe are looking for keys on all pockets, bags and shelves. To prevent this from repeating from time to time, it's worthwhile to hang a housekeeper in the corridor and take the keys to hang up for the rule only there. Here is a very simple master class how to do a housekeeper with their own hands in a matter of minutes and without serious financial costs. Klyuchnitsa own hand from the wooden baguette - how to do? Prepare a wooden frame. It is not necessary to buy, if you do not have - look for friends and friends, for sure there is a small baguette, dusting in the pantry. The baguette can be either new, modern, or vintage or antique. 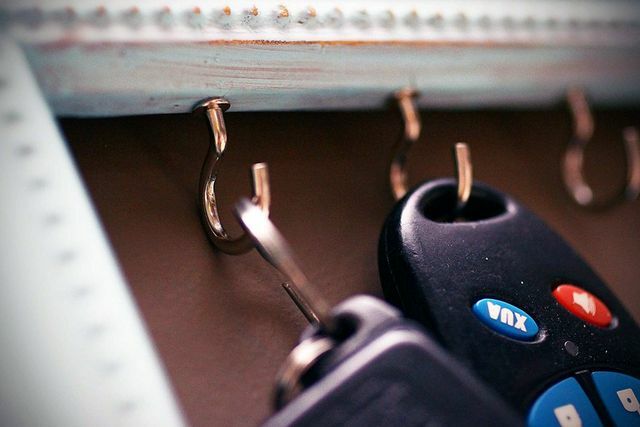 It is advisable not to use a very thin frame, otherwise it may not work to screw in the hooks for keys. If desired, the baguette can be painted, painted, decoupage, aged. Drill a few thin holes in the framediameter under the hooks, and then just screw them into the tree. If the tree is very soft, you can do without a drill. 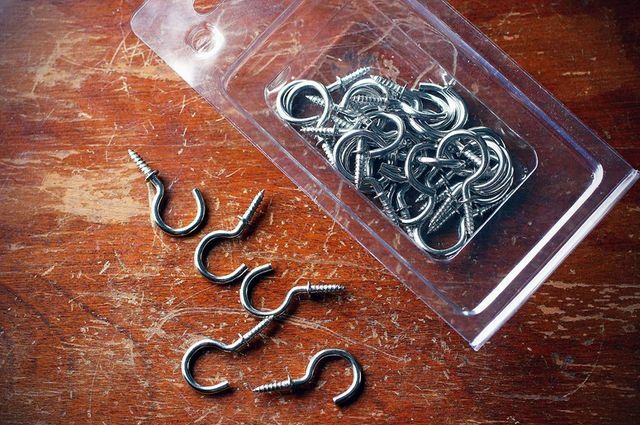 Just gently hammer the hooks with a hammer. The clerk with her own hands is ready! 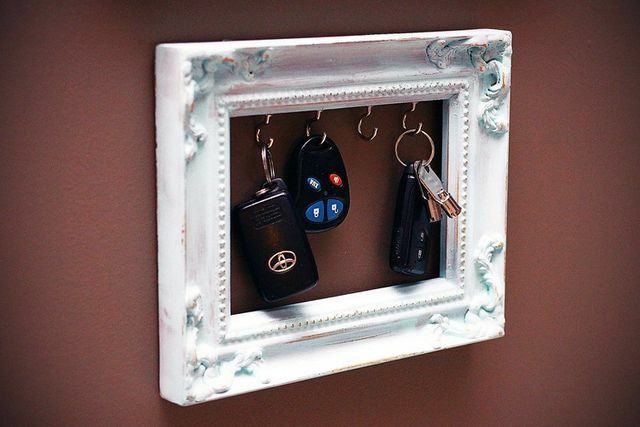 Now all your keys will be in sight. 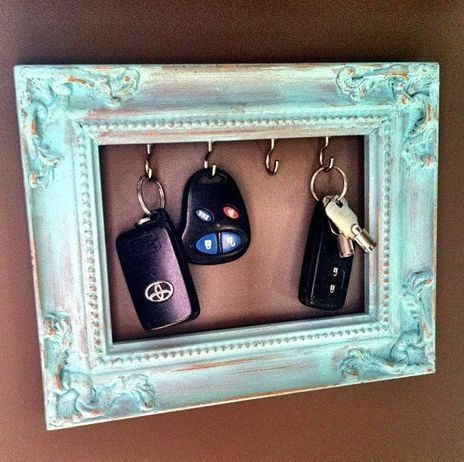 The main thing is to develop the habit of hanging them in place. Wall-wrench woman with her own hands from the locks The holder of the tennis ball Money tree with my own hands. The idea of ​​a gift. Wall-vase with own hands from boards and cans How to make a box. Handicrafts from the boxes.